Plenty of Halloween tricks and treats for the Overwatch faithful. 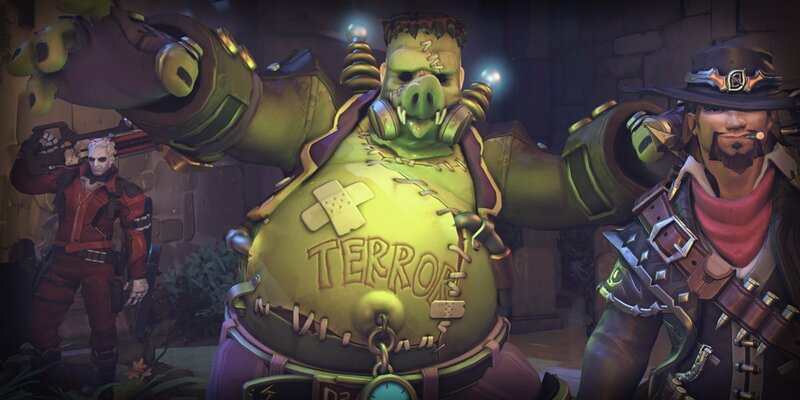 Overwatch will see the return of its now-annual Halloween Terror event, with Blizzard having confirmed a date for when we'll see it in-game. It's dropping on Tuesday, October 9. There wasn't a lot of information shared in the accompanying tweet, which instead included a cute, "spooky" poem to hype up the event's impending debut. It looks like, however, we're getting a series of new skins, and a special themed one for Roadhog as well. We haven't had a peek at what the skins will look like, but it's likely Blizzard will start staggering reveals over the next few days since it's already the first of October. When the Halloween Terror event begins, it will likely last until October 31 on Halloween. As additional details emerge about the impending event, we'll make sure you know exactly what to expect, as well as what skins you can get your hands on. Jeff Kaplan said in his last video that they haven't been putting too much effort into the events lately because they've been working on a lot of other game systems and quality of life stuff. So I don't expect much from this aside from skins - Junkenstein is fun though. I still wish they would have a more regular rotation of co-op maps in the Arcade. It's not super deep but it's a fun distraction.